*Disclaimer - I received complimentary tickets from Dutch Wonderland in order to facilitate this review for my readers. 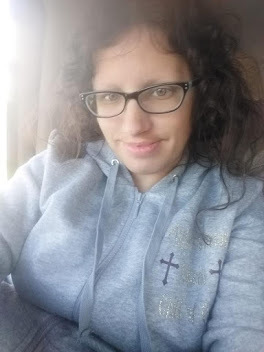 All opinions and experiences are that of my own. 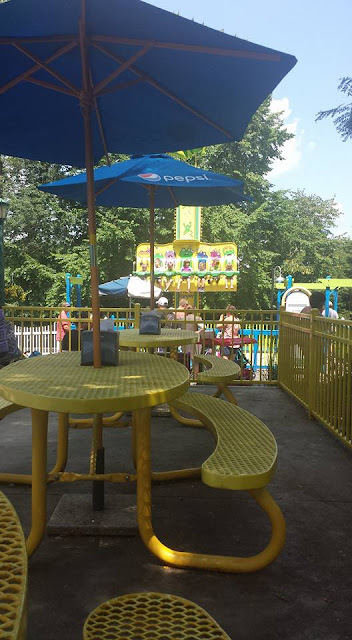 Are you looking for a fun family friendly amusement park? 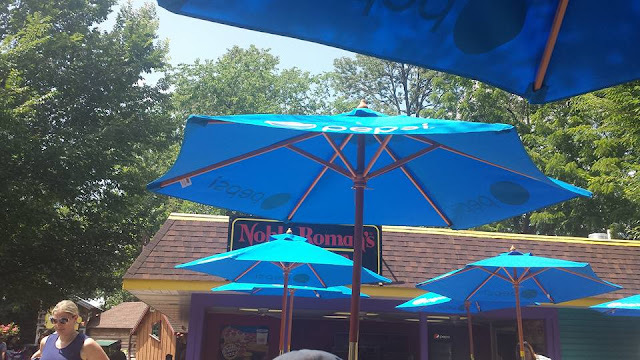 Our family has been looking forward to working with Dutch Wonderland for a few months now, and this weekend we got to go on Saturday all day! The gates open at 10am, at Dutch Wonderland and you should probably get there early to get in line! They have a $5 general parking or $15 preferred parking fee, depending on which one you want to use while there. We stopped at our favorite place for lunch called Noble Roman's Pizza. It's delicious and you can get a large pepperoni or cheese pizza there for just $21.99! I love the way they make their cheese, because it's thick and they use a lot. It's our favorite go to lunch place there. We had a lot of fun. 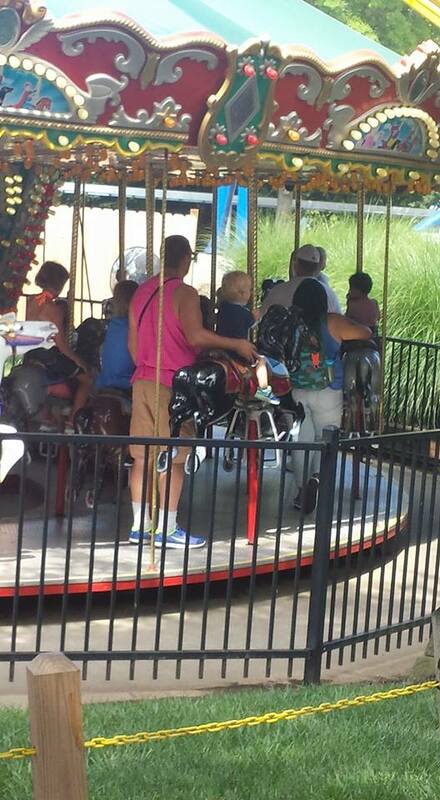 Our toddler enjoyed the carousel ride several times with my husband, on the horse that goes up and down. This ride is great for toddlers and small children. It's a balloon ride that goes in a circle if you turn the wheel inside. 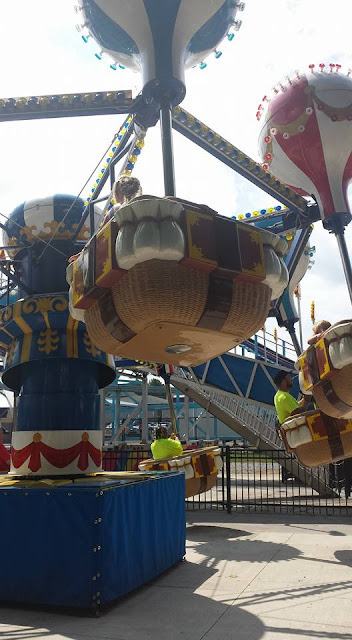 My husband took our toddler son on this one several times and he had a blast! This was one of his favorites to go on, during the day while we were there. 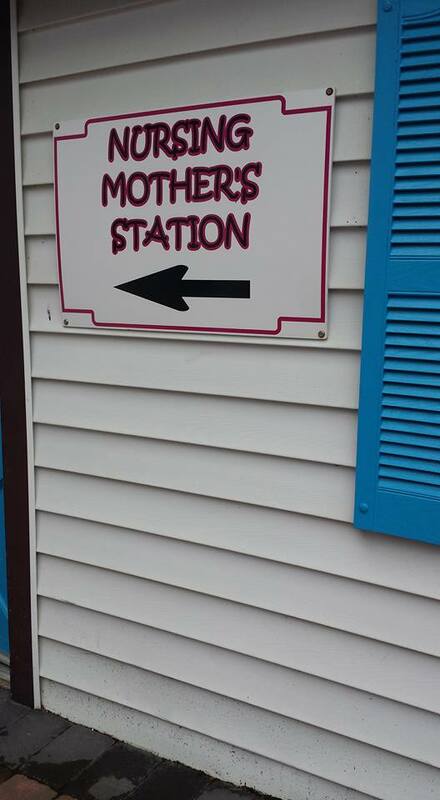 The one thing I really like about this particular amusement park is that they have a Nursing Mothers Station at the beginning of the park soon after you get into the park. 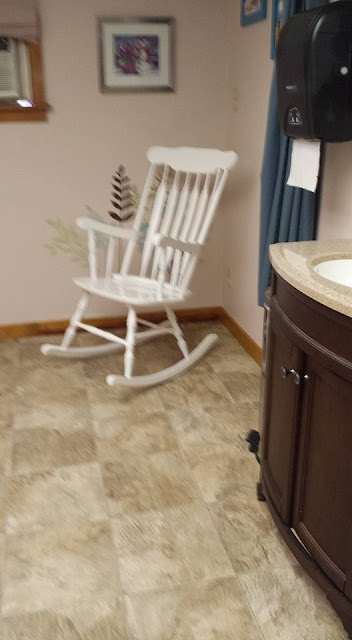 I used it with our daughter Saturday and it's really nice inside, as it has a rocking chair, an air conditioner, plug ins for breast pumps I assume, as well as a sink, and a changing table to use. 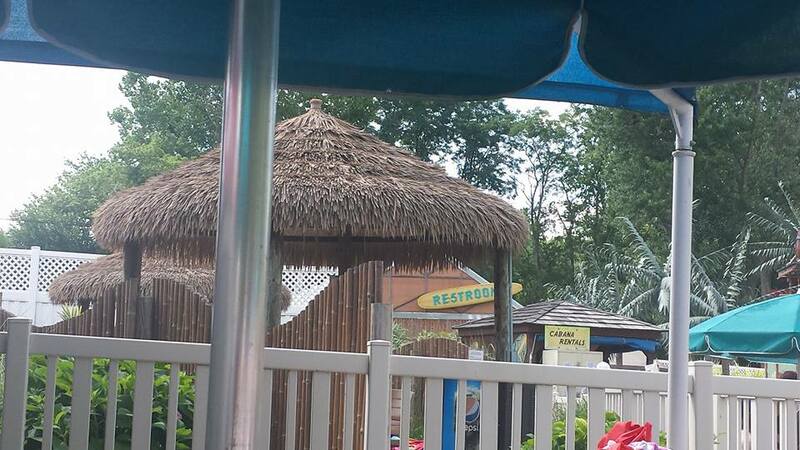 It was a nice small area to be able to nurse in privacy before starting rides with everyone. I ended up nursing in different parts of the park as needed, finding a bench or seat to be comfortable at. I find this very convenient as a mom who doesn't like using a cover. Here is one of the fun rides that kids probably over 4 - 5 years old can ride; the Frog Hopper. Our daughter is 8 and had fun with this ride twice. Our toddler wanted to go on it, but of course he was too short to be able to. Better to be safe than sorry that's for sure! 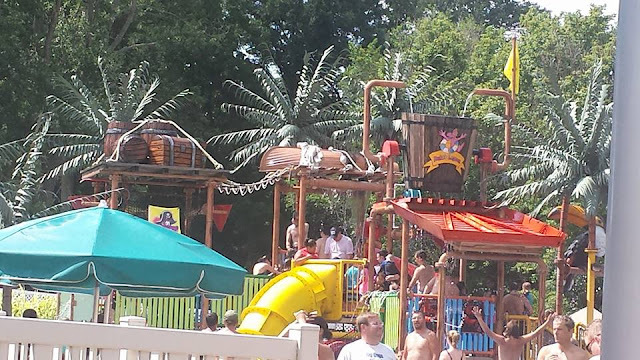 We had a blast, and our toddler just LOVED the water park that they have; we could hardly keep him out of the water! We ended the day riding water rides and spending a few hours at the water park too. 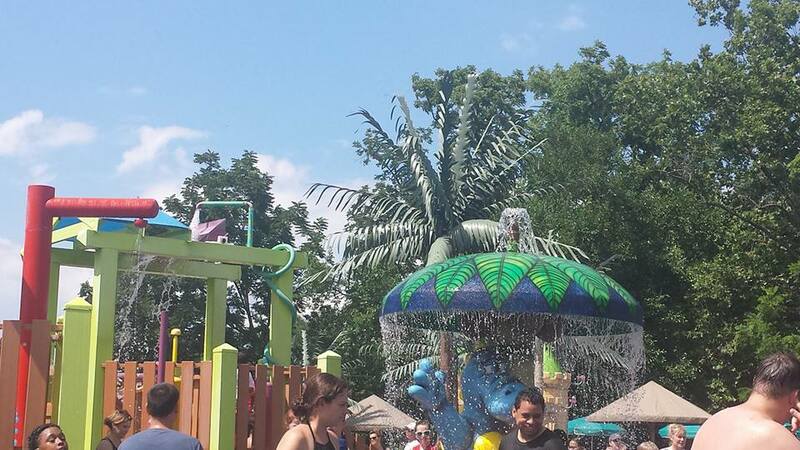 The water park is specially made for small kids, as well as older kids and adults. 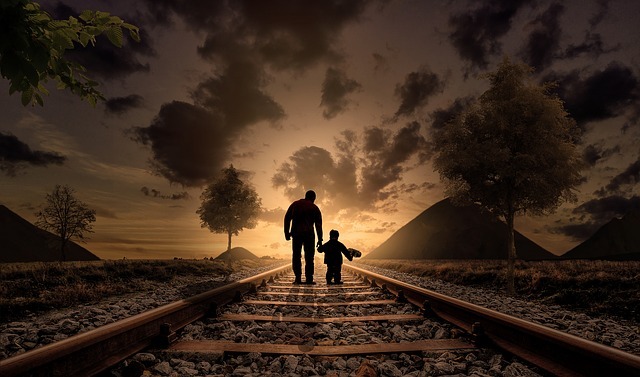 There are sections that are made for smaller kids and other spots for older kids and adults to go to, where younger children are not able to go to due to safety reasons of course. As you can see below, here are two water slides that require a raft to ride, as well as water shoes. This portion of the water park is good for toddlers and smaller children, with their parent(s). 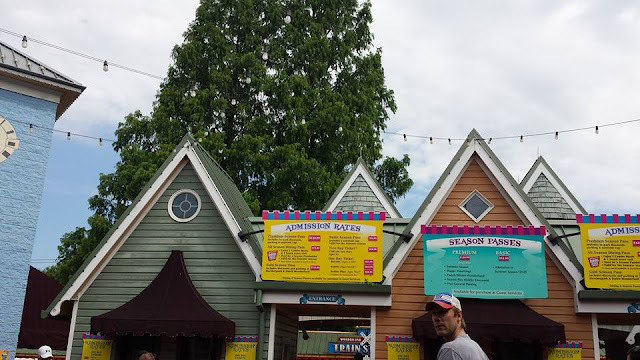 To get a discount on your tickets for Dutch Wonderland, use the promotional code ChitChatMomSBlog17 at the link HERE! We did go to Dutch Wonderland a few years back. My youngest really enjoyed a Thomas show they had at that point. Wow! Your day at Dutch Wonderland looks like a super fun time! I had never heard of this amusement park before. Dutch WOnderland looks like a super fun and exciting place. It is so nice that they have a clean and comfortable place for nursing mothers. I'm glad this was such a good time. The rides must have been a lot of fun and I'm impressed with the water park! 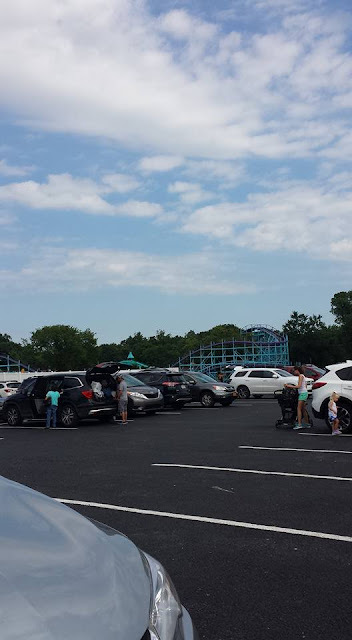 This place looks like a great day to spend the day with the family especially the water park. We actually haven't taken our kids to an amusement park yet as I still think they are a bit young. Ooooo how fun!!!! I have never heard of Dutch Wonderland, but I bet my daughter would love it there! There is too much to do in one day. I am looking forward to the day we can treat our kids to a weekend here. I didn't see you mention where this place is?! Would like to know if it is in driving distance from us. It seems like you had an excellent time there! How much is the ticket for this amusement park?